Induced Pluriopotent Stem Cells (iPSCs) are a type of pluripotent stem cells that can be derived directly from adult somatic cells . The derived iPSCs can propagate indefinitely, as well as give rise to other cell types in the body. iPS cells, thus, hold great promise in the field of regenerative medicine by representing a single source of cells that could be used to replace those damaged/diseased cells. 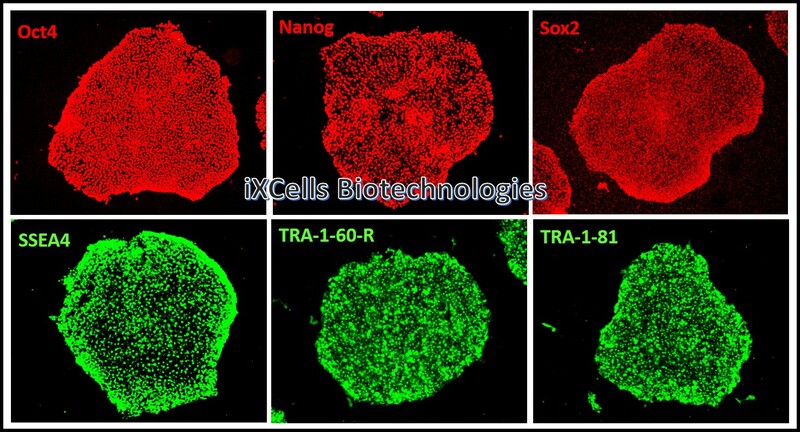 iXCells Biotechnologies is proud to offer human iPS cell lines derived from the human somatic cells (dermal fibroblasts, adipose-derived stem cells, peripheral blood mononuclear cells) from different race, gender, age, and tissue resource. The pertinent donor information is available upon request (info@ixcellsbiotech.com). These iPS cells are established from a single clone and expanded in feeder-free conditions. 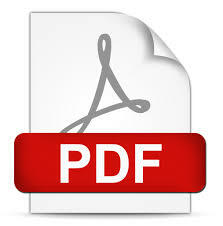 The Certificate of Analysis is provided for each cell lot purchased. The cells have been fully characterized for their self-renewal and pluripotency. All the cells provided by iXCells are negative for mycoplasma, bacteria, yeast, and fungi. HIV-1, hepatitis B and hepatitis C.
Figure 1. iXCells human iPS cells are characterized by immunostaining with Oct4, Nanog, Sox2, SSEA4, TRA-1-60-R, TRA-1-81. 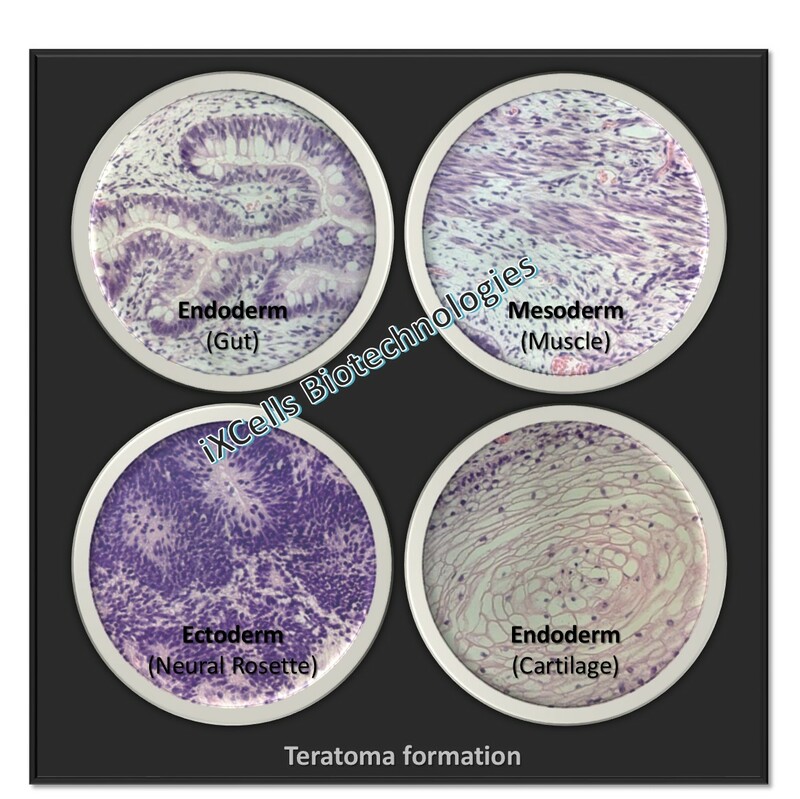 Patient-derived iPS cell lines are also available as separate products. The currently available diseased specific iPS cell lines are derived from patients with Type 1 Diabetes (T1D), Type 2 Diabetes (T2D), Alzheimers's Disease (AD), Parkinson's Disease (PD), Amyotrophic Lateral Sclerosis (ALS). More disease-specific iPS cell lines are under development. We also provide custom iPSC generation and iPSC differentiation services to meet your needs. Figure 2. (A) iXCells human iPS cells are positive for the transcription factor Oct4 (green) and the surface marker SSEA4 (red). (B) iXCells human iPS cells are positive for the surface markers TRA-1-81 (green) and SSEA4 (red). Figure 3. In vivo validation of iXCells human iPS cells by teratoma formation. Okita K, Matsumura Y, Sato Y, Okada A, Morizane A, Okamoto S, Hong H, Nakagawa M, Tanabe K, Tezuka K, Shibata T, Kunisada T, Takahashi M, Takahashi J, Saji H, Yamanaka S. A more efficient method to generate integration-free human iPS cells. Nat Methods. 2011 May; 8(5):409-12.